Differential feed amount can be easily adjusted using a dial.With a simplified dial mounted on the front surface of the machine, the differential feed ratio can be adjusted with ease. Low-vibration and low-noise promise comfortable operation. The small diameter of the cylinder makes it possible to sew narrow tubular materials.The standard cylinder has a circumference of 270mm. 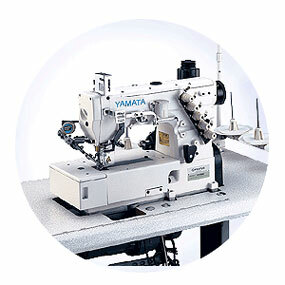 thanks to the cylinder design, the machine can easily sew various types of small-diameter tubular materials, making it ideal for general purpose processes and sewing works.